During my current job hunt I have signed up for a number of job board that promise the opportunity to search for interesting and applicable jobs. Every morning I look forward to seeing the latest job postings that my searches find and every morning, along with the searches, I get Spam. Of the well known job boards, Monster.com is easily the best, this is despite the rather confusing advertising offering me opportunities ranging from at-home degree studies to insurance and personal finance products. Monster has many very interesting opportunities, but because it is not the only board, I have signed up for many others. Given that unemployment is a serious problem in the US at the moment, I would wager that a significant number of people are treading the same path towards employment at the moment. We, the unemployed, are all signed up for many e-mail alerts and many job boards. We want to work, in many cases, we need to work as we have to keep a roof over our heads and pay our way. 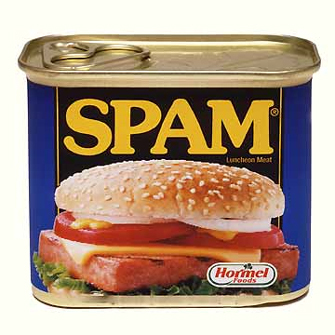 Which makes it all the more annoying to find that I keep getting spam e-mails. My Spam experience started relatively lightly, with ‘offers’ to work in completely unrelated fields. I am a software product and project manager, not an insurance salesman (Farmers and State Farm, I am looking at you), every single day I get ‘selected by a senior recruiter’ to join the fast paced world of insurance sales and frankly I am a tad board with it. Nothing about my resume shouts ‘salesman’, everything shouts ‘software geek’, I called one of the numbers and after listening to an over excited, ultra enthusiastic man waffle on about how thrilling the experience of selling insurance is, I felt that I needed a nap and could probably not keep up without hourly doses of Red Bull. The second type of spam is a little more difficult to quantify, this is the ‘baad speelin’ e-mail trying to get you to click on a link. I never did click on the link, if people are not smart enough to spell check their e-mails or even be slightly upfront about who they are, then I doubt that they are going to be able to match me with an employment opportunity that will be beneficial. I presume that this link would be for another board, or maybe a scam, but I did not bother. Its my pleasure to invite you to Topjobs.ning.com to share the requirements that are posted by the recuriters and also to post your TOPJOBS that you have. Again it is, I presume traffic building to something that is pretty small and a minority, this time the lack of typo’s was nice to see, but…. Finally (eventually ?) I got this in my inbox this morning sent via Career Builder. Our Company is in the business of exchanging,buying, selling PayPal,E-gold and other e- currencies. We have local branches in Germany,Spain,Sweden,Finland,France. We are offering part-time job of “Transfer Manager” in the USA. We are looking for few candidates who are good team players who can use their initiative, deliver results and demonstrate their commitment to result. If you are looking for new accomplishments in your career,new experience and are willing to receive higher income you are welcome to join our firm. The duties of the “Transfer Manager” is receiving transfers (to your Bank account) from our customers in timely manner, sending them to our company in Finland via bank transfers, and solving issues associated with these tasks. Every transfer will be accompanied with detailed instructions. Any experience in customer service sphere is appreciated. Salary: $800-$1500 per week. It is a commission based position – 8% from each processed transaction. work efficiently from home, on flexible schedule. We will provide you with further detailed information ( web-site address, licenses,contract etc.) , as well as answers to your questions. Does anyone at all out there think that this sounds even slightly legitimate ? I cannot see any business model outside of ‘scam’ that would make this work, taking money off the unemployed feels like one of the lowest possible tactics to me. I have no money, I am desperate, let me sign up and you can take money off me. This is not just spam, this is a kick to the crotch for anyone that is looking for work.